Support and contribute to the advancement of solar in Canada. CanSIA’s membership year runs July 1st to June 30th every year but you can join at any time. Membership is prorated by 50% for new members joining during the second half of the membership year (as of January 1st). Our company has commercial interest in the industry. Our organization wants to demonstrate leadership in the future of solar energy in Canada but does not have commercial interest in the industry. Our organization is a not-for-profit, education provider, small municipality, or community group. Larger companies tend to have more invested in the industry and more to gain. CanSIA’s Corporate Membership levels fairly distribute dues and benefits based on company size, influence, and investment in the industry. Click here to view details on the valuable benefits available at each membership level. Advocate Individual membership is available for those who CHAMPION the advancement of the solar energy sector and want to be kept at the forefront of news and information on the solar industry. 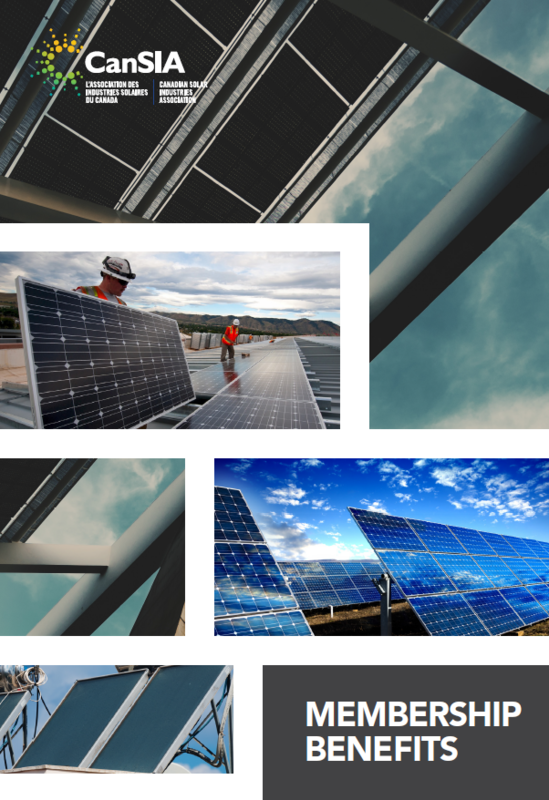 Receive breaking news, policy & research updates, Solar Beat e-newsletters, and SOLutions magazine to stay informed of the latest industry trends. Note that this membership level is strictly informational and does not allow for any promotion of a business or service or affiliation with CanSIA. Participation in policy development activities, including Member Networks and Forums, is restricted to Corporate and Supporter Members, as are opportunities to gain visibility in the industry (e.g., member directory listing). Member discounts on CanSIA Conference registrations do not apply to Advocate Individuals. If you are a young professional or student and are interested in helping to shape the future of the solar industry in Canada, please click here to learn about Emerging Leaders for Solar Energy (ELSE).